The Apple Watch's heart rate monitor has been a lifesaver for several wearers. 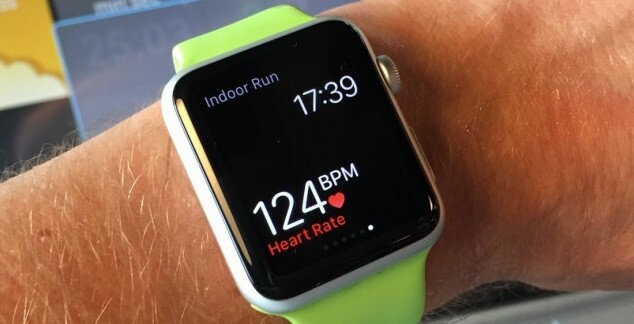 The Apple Watch may have saved a man’s life after its heart rate monitor led 32-year-old New York resident William Monzidelis to be diagnosed with an erupted ulcer. The ensuing incident sounds terrifying — but also a remarkable illustration of how useful Apple’s wearable device can be. Monzidelis received an Apple Watch notification about his unusually high heart rate while at work at his family bowling alley business last month. He started feeling dizzy and, when he went to the bathroom, began bleeding. At this point, his Apple Watch alerted him that he should seek medical attention. His mother then drove him directly to the hospital, during which he began to lapse in and out of consciousness and lost a significant amount of blood. He was given an immediate emergency blood transfusion and then rushed into surgery for an erupted ulcer. Doctors credited the Apple Watch in playing an important role in saving Monzidelis’ life since, as a usually healthy individual, he would have been less likely to seek medical help so quickly, had his smartwatch not alerted him. This isn’t the first time we’ve heard about the Apple Watch potentially saving a person’s life. Recently, 18-year-old Florida teenager Deanna Recktenwald was alerted by her Apple wearable that her resting heart rate had hit 190 beats per minute and that she should seek medical attention. She was later discovered to be suffering from chronic kidney disease. With her kidneys functioning at only around 20 percent, she will require a transplant in the future. While Apple has still not given any exact figures regarding Apple Watch sales, things are sounding promising. During the company’s most recent financial quarter, revenue in the “Other Products” category grew by 90 percent, in part thanks to strong demand for the Apple Watch.